One of the topics that comes up here on occasion is the lost art of writing letters and postcards. 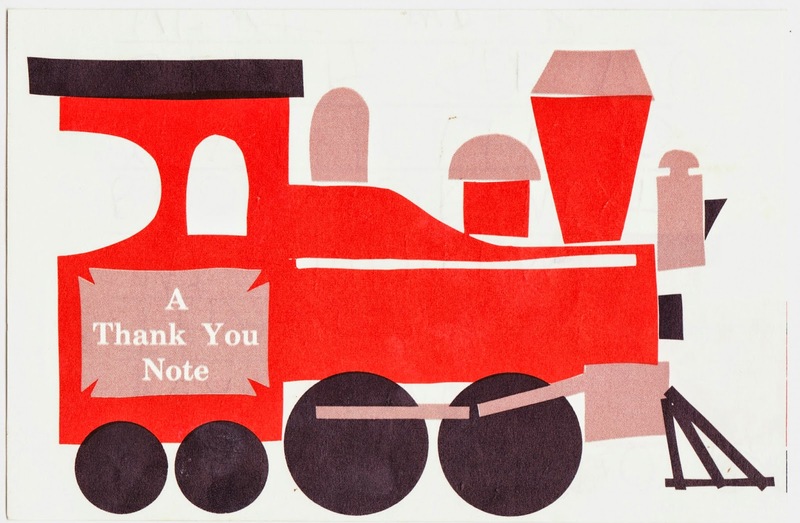 That can also include thank-you cards. I suspect the percentage of people who send them has dropped precipitously in the past quarter century. 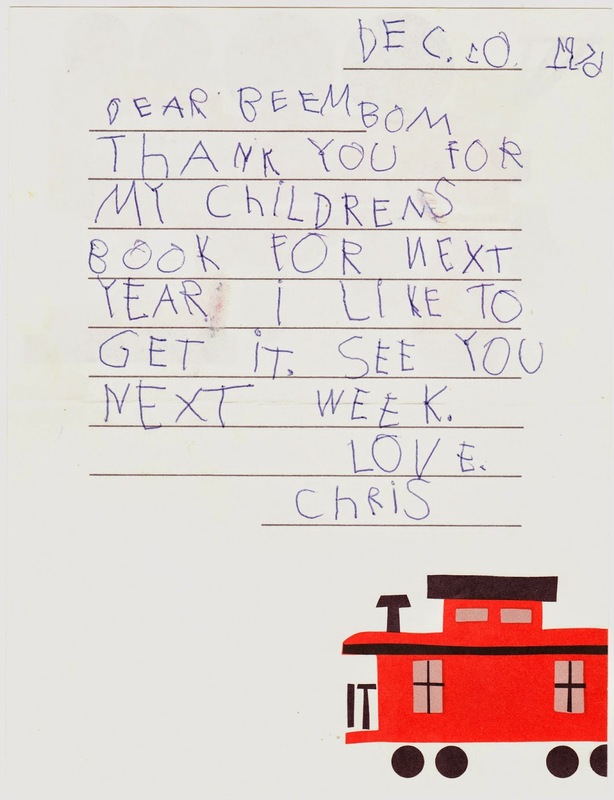 This is a thank-you card that I sent, with the help of Mom, to my grandmother1 (who we called "Beembom," thanks to my pronunciation issues) in December 1976, right around the time I turned 6 years old. I had an odd problem in which I wrote some of my numbers backwards. Even then, I loved books. I WAS AN ALL CAPS KIND OF CHILD. Not bad for 3 months into 1st grade!